All Progressives Congress (APC) National Leader, Asiwaju Bola Ahmed Tinubu, at the weekend in Osogbo, Osun State capital, solicited support for the party’s candidate in the September 22 governorship election, Alhaji Isiaka Adegboyega Oyetola. He said Oyetola had impeccable credentials and competence to carry on from outgoing Governor Rauf Aregbesola. Tinubu expressed confidence that the insurance guru would help replicate the economic and infrastructural development witnessed in Lagos in Osun. 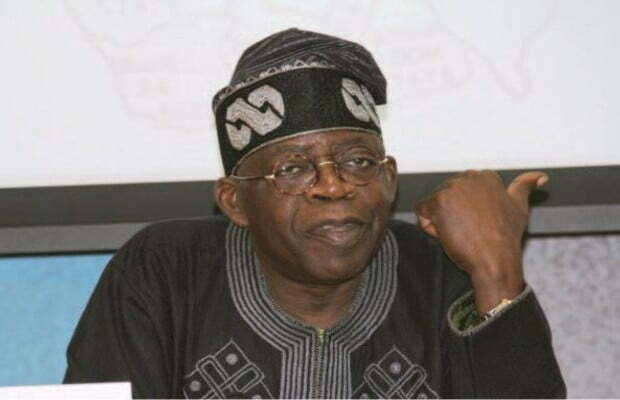 Tinubu spoke during separate visits to the palaces of Ataoja of Osogbo, Oba Jimoh Olanipekun, and Owa-Obokun of Ijeshaland, Oba Adekunle Aremolaran. At the palace of Ataoja, the former Lagos State governor described Oyetola as a technocrat and shrewd manager and administrator, recalling how he single-handedly founded and raised his own company, an insurance company, to a place of enviable status. Tinubu said Aregbesola had laid the infrastructural foundation for the state and that Oyetola, with his experience and expertise in the corporate world, would take Osun to the next level, which is to raise its economic and investment profile. Receiving Tinubu, Oba Olanipekun expressed gratitude to the APC leader for the role he played when the traditional ruler had challenges over his emergence as Ataoja of Osogbo. The monarch also commended Governor Aregbesola for doing an excellent job in the state, admitting that Osogbo particularly benefited from the administration with the good network of road and other infrastructure put in place in the state. The APC leader was accompanied on the visit by Health Minister, Prof. Isaac Adewole, former APC National Vice Chairman, South-West, Chief Pius Akinyelure, Lagos State Information Commissioner, Mr. Kehinde Bamigbetan, and Executive National Commissioner, Stakeholders Management of the National Communications Commission, Mr. Sunday Dare. Speaking at the palace of Owa-Obokun, the APC leader described the traditional ruler as a foremost author and popular economist who is no push-over in the land. Ola Aromolaran said if elected, Oyetola should help upgrade the College of Education in the city into a full-fledged University of Education. He also asked that his palace burnt by hoodlums allegedly sponsored by then PDP-led government in the state, in the wake of the struggle by Aregbesola to reclaim his mandate, be rebuilt.